These Meade 12X60 Astronomy Binoculars are just the thing for cosmic observing! Explore the Moon, scan the Milky Way for galaxies, nebulae, and star clusters, or see just how long that comet's tail is! 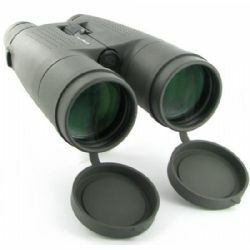 Like a pair of small telescopes in your hands, the Meade 12X60 Astronomy Binoculars are the perfect beginner's tool. Includes dust caps, neck strap, cleaning cloth and protective carrying case.